Allan had two spells at Lok, having re-signed from Auchinleck Talbot in 2014. 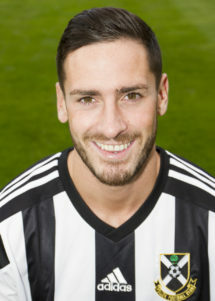 He was part of the youth set-up at Alloa Athletic for three seasons, and joined Lok from them in 2010. A year at Newlandsfield was followed by two with Shotts (where he helped to win the Junior Cup) and then his single season at Beechwood. He left to join Bo’ness United during 2017-18.